"70cl / 40.0% - A delightful single pot still Irish whiskey, Redbreast 12 is highly praised by Jim Murray and a host of other notable critics. Named 'Overall Irish Whiskey of the Year' at the 2013 Irish Whiskey Awards, we can't get enough of it." "70cl / 46.0% - Aged in American oak before being finished in Port wood, this Tyrconnell offers a great balance, with lots of jammy thickness." 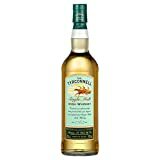 Please note: whiskyworld.com lists products sold via Amazon.co.uk. Please check product suitability before ordering. Before we begin further development, we are considering selling the whiskyworld.com domain name. ©2019 - whiskyworld.com is owned and operated by SafetyNet Systems Ltd.